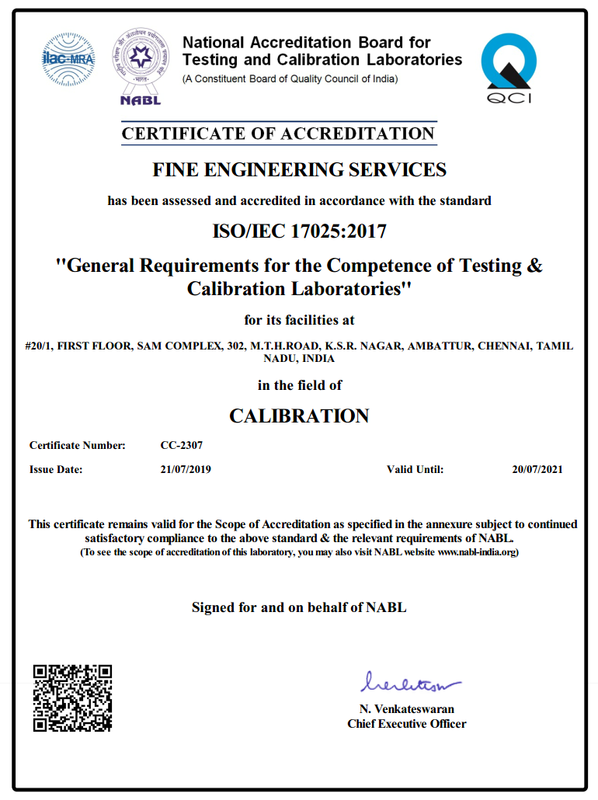 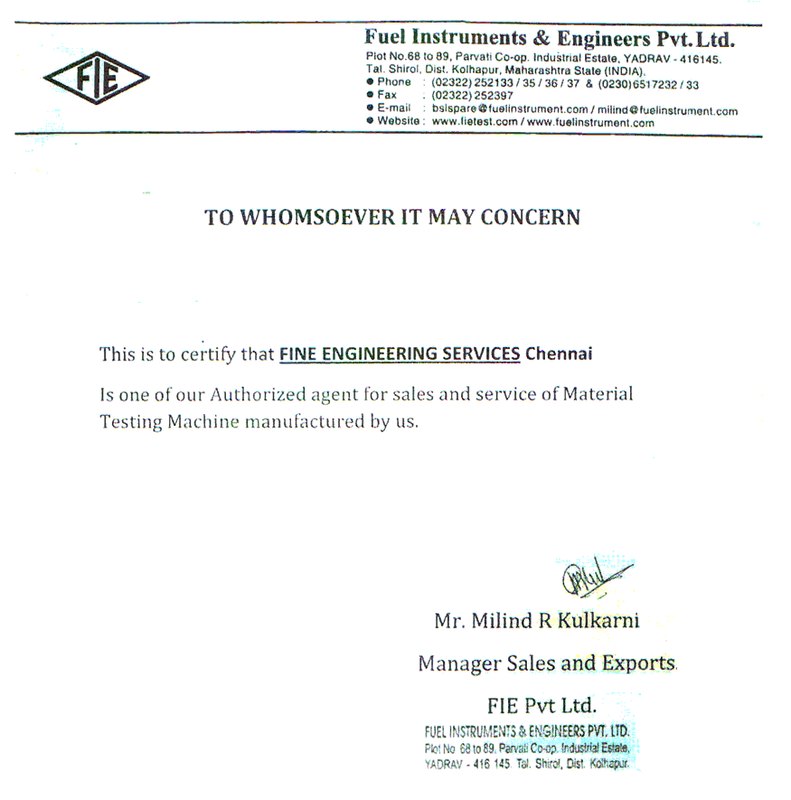 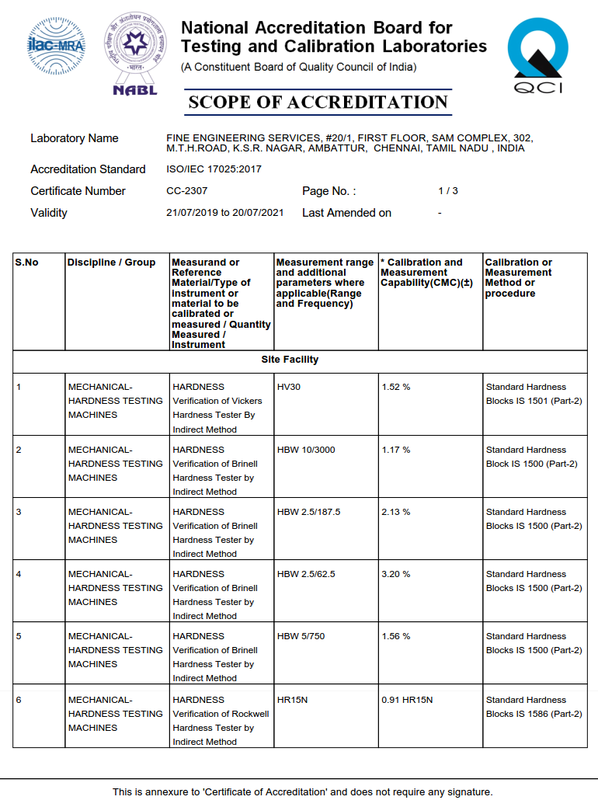 Fine Engineering Services (FES) is a NABL Accredited Company for Testing and Calibration of Material Testing Machines, with a strong industry exposure in the field of Sales, Service and NABL Calibration. 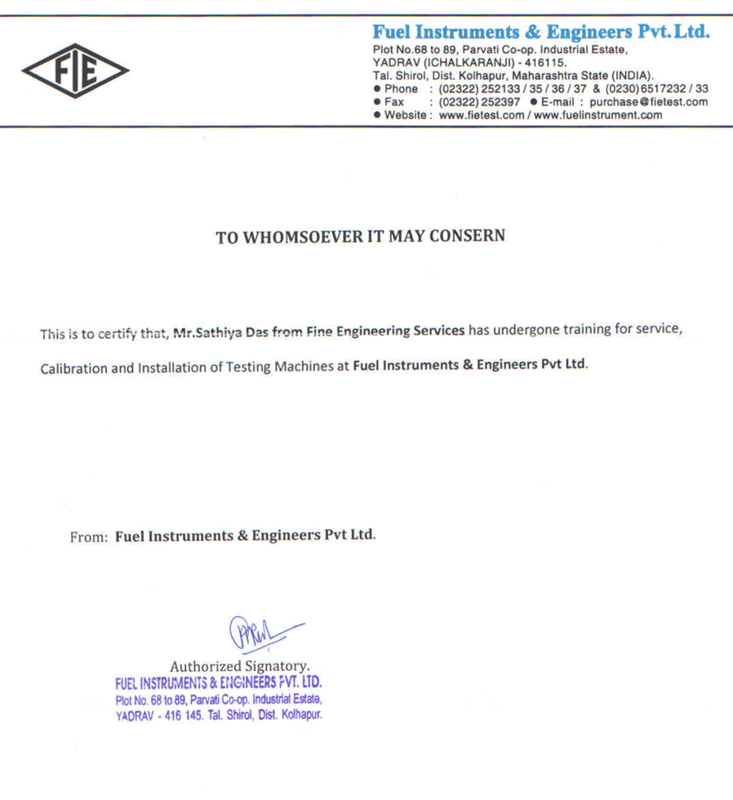 Established in the year 2002, Fine Engineering Services is associated with INDIA’s leading testing machines manufacturing brand, where totally committed to provide quality & reliable products that meet customer expectations. 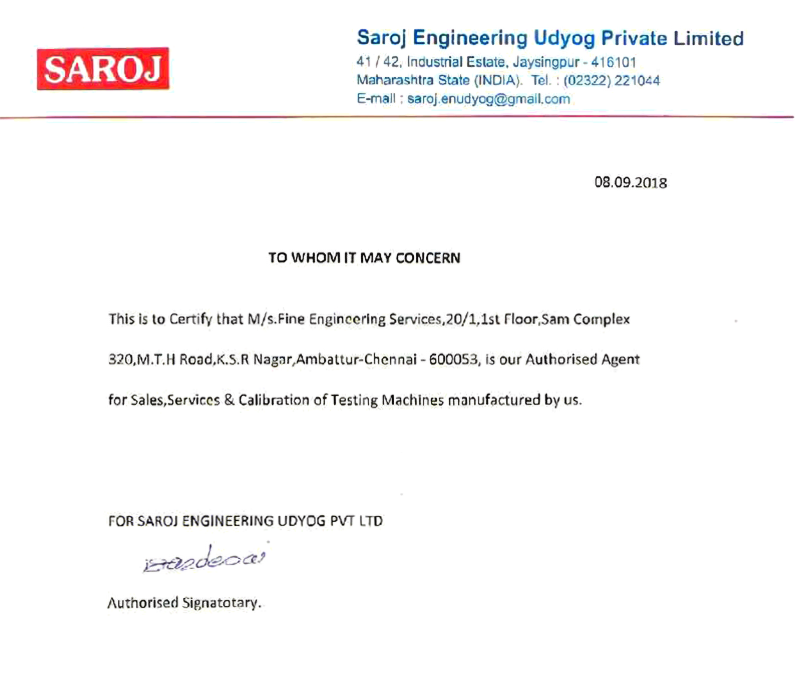 Having been engaged in the sales and service of material testing machines field over a decade, we have secured ourselves a very prominent position in the Industry today and emerging as one of the leading system integrator and distributor in the region. 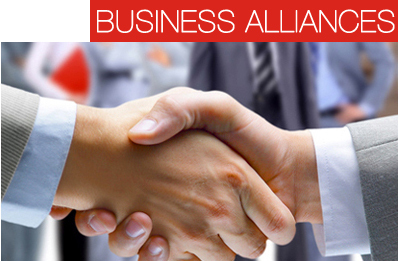 Privileged to work with some of the well known companies and best professionals in the industry. 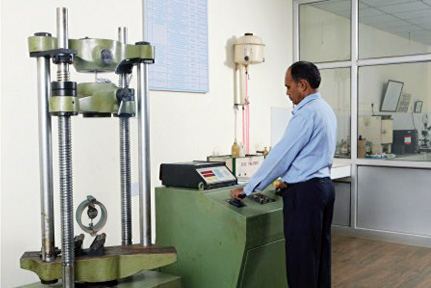 FES continues to work diligently and efficiently to exceed the expectations and needs of its clients by providing latest products and solutions.